This item is both classic and new. It is part of our new line of colored stone necklaces, but the design is a timeless classic. 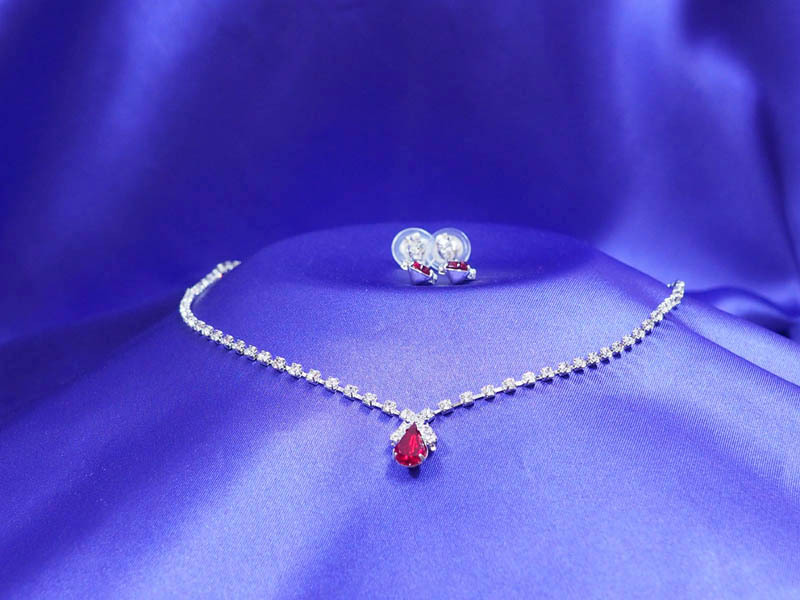 A slender strand of rhinestones with a ruby teardrop pendant.